Hi folks - I fished a small creek here in Western New York yesterday. 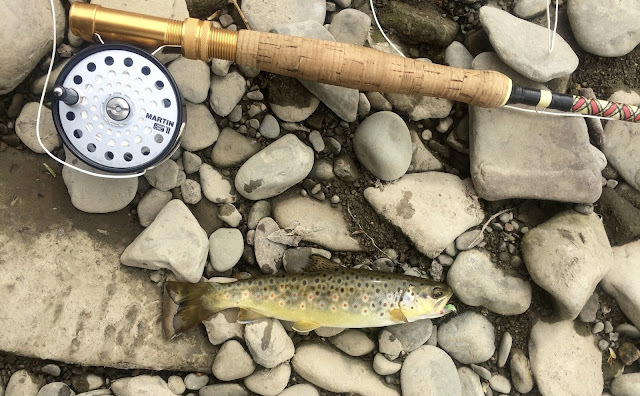 The creek has not been stocked since 2006, but has a steady population of browns and a few rainbow trout. Here's one I picked up with my Wright and McGill, 7' 5wt., that I like to use with a DT4, she's an oldie but goodie.... I caught the fish on a "Graham's Cracker", a great little caddis pattern.